If there's something strange in your IDE, who you gonna call? Codebusters! 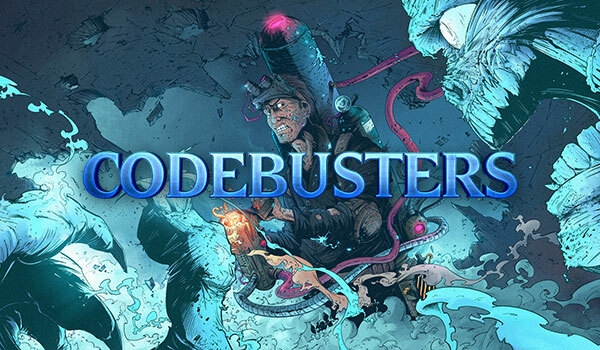 Codebusters is the next multiplayer AI programming contest. It will last for 8 days from Saturday, June 25th (12PM EST) to Sunday, July 3rd (2PM EST). Don’t tell me that you don’t think a ghost hunt is exciting, I won’t believe you. The contest lasts for 8 days, but having a first bot working takes something like 10 minutes, so you can have fun very quickly. Try it! Honestly, you might be surprised. Your mission if you accept it: save the world wild web. This is a way to compete with real players from all over the world. You can compare your skills with other CodinGamers depending on your programming language, your school or your company. It’s easier to convince your partner that you’re practicing your brain skills doing a coding contest than playing video games. Not only does it help you sharpen your skills to be more efficient in your daily work, but it’s also a great exercise for hiring tests. Practice makes perfect! Programming stuff most probably, but who knows? It's a great opportunity to learn from your peers. CodinGame chat is getting a second rework. It will facilitate discussions between CodinGamers all along the contest. You know what? That’s how I got in CodinGame. You can choose to code for glory and fun, or you can choose the companies which could contact you after the contest depending on your results. The complete list of companies is on the registration page! There won’t be many opportunities in your life to become legendary, think about it. We’ve introduced a league system. You start in Bronze league and you can go up until Legend League but it gets more difficult along the way! Who cares about a 3D-printer when you can proudly wear a CodinGame T-Shirt at work? The list of prizes is available on the registration page! Just look at the eyes of your teammates when they ask you what you did on Saturday evening, and you answer “I coded”. Pro tip: works also with Sunday evening. When CodeBusters will become the greatest contest ever known, you'll be able to say "I was there". When was the last time you refused to participate in a free event where you could win prizes? The only thing to do is to register though. We'll keep you updated by mail anyway. Don't worry we will push the same updates on all communication channels. If you have any question or remark, don't hesitate!